Riptide GP®2 kicks everything into overdrive, with intense online multi-player races, upgradeable hydro jets and riders, improved graphics, an all-new career mode, and a whole new stunt system with dozens of new tricks! Featuring rocket-powered hydro jets racing around futuristic tracks across... see more Riptide GP®2 kicks everything into overdrive, with intense online multi-player races, upgradeable hydro jets and riders, improved graphics, an all-new career mode, and a whole new stunt system with dozens of new tricks! • Race against your friends&apos; best times in the exciting VR Challenge mode. 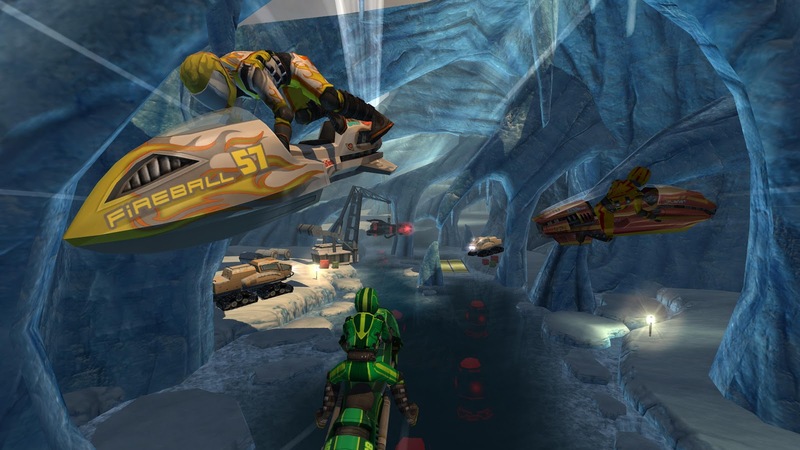 • Play through Race, Hot Lap, Elimination, and Freestyle events to earn XP and cash that can be used to upgrade your hydro jet, unlock new stunts, and increase your rider&apos;s performance. We GUARANTEE if we can&apos;t fix your problem we&apos;ll give you a refund. But we can&apos;t help you if you just leave your problem in a review.